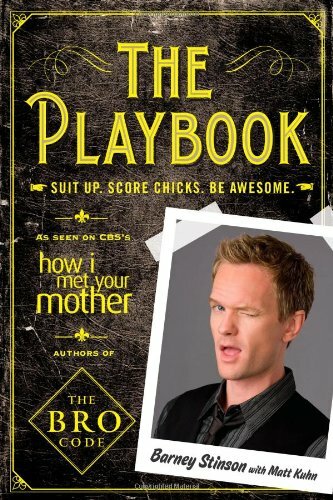 The Playbook is a book authored by Barney Stinson that contains a collection of scams Barney uses for picking up women. 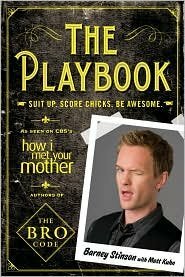 Barney Stinson Playbook called “Suit up. Score chicks. Be awesome” is a book that contains a collection of scams Barney uses for picking up women. Barney Stinson, from the hit show How I Met Your Mother, is one of the busiest characters on TV. At least in the bedroom. Known for his ability to “scam, con, hustle, hoodwink, gambit, flim flam, stratagem, and bamboozle” women into the bedroom, it’s safe to say that Neil Patrick Harris’ character goes to any means necessary to sleep with the ladies. Thanks to the recently released book, you too can learn how to “Suit up. Score Chicks. Be Awesome” just like Barney Stinson. The Playbook was first seen in the episode “The Playbook” but then it disappears for a while. The next time we see The Playbook is season 8 episode 10 The Over-Correction where Robin breaks into Barney’s apartment to reveal to Patrice (Barney’s girlfriend at the time) what a player he once was. While trapped in Barney’s apartment gang witness Barney burns The Playbook. 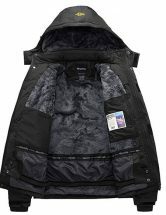 The Playbook returns in season 8 episode 18 Weekend at Barney’s after Ted has a rough break up with a crazy girl, Jeanette. 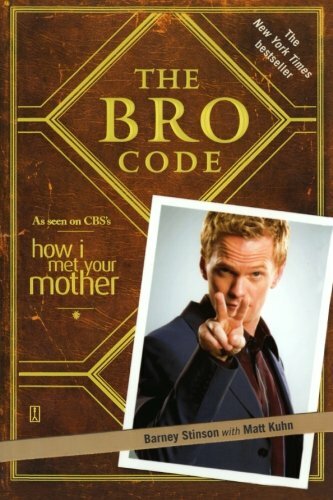 Barney breaks out The Playbook to help Ted score a girl. But near to the end of the episode, they watch as The Playbook is blown by Jeanette. In season 9 episode 17 Sunrise we witness the return of The Playbook when has trained two young men to pass on his knowledge to the next generation. Without going to specifics of whatever disease/illness you have, simply display symptoms (such as coughing or wheezing) to the woman of your sexual desire until she asks you what’s wrong. If you have your eye on a co-ed hottie, and she’s in the library reading (or anywhere where reading a book is appropriate), go up to her and ask how she likes the book. Memorize the author’s name (as long as it’s not a woman writer) and then hold out your hand and introduce yourself as the author. This play apparently draws in patriotic chicks or anyone that doesn’t want to send a soldier off to war without a special night left in their mind. 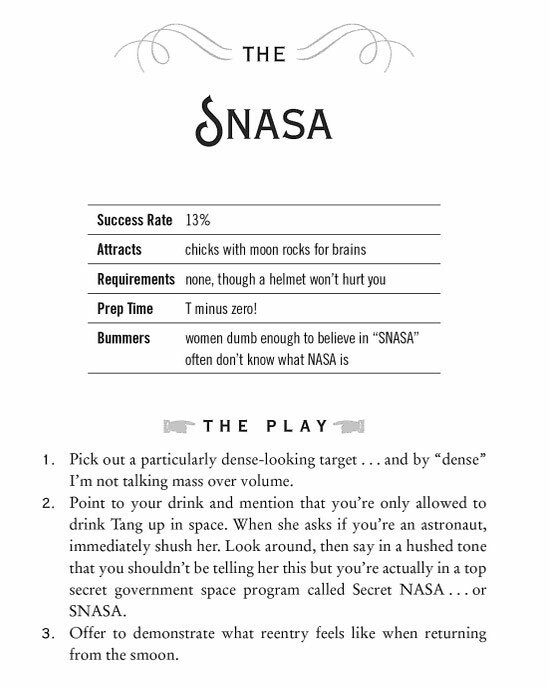 To fulfill this play, Barney recommends you buy “your target a drink” and then after you are in mid-conversation with her, tell her you’re joining the Marines tomorrow. However, he does warn that if a fire does break out anywhere near your target, you’re going to have to step up to the plate. When you see a hot girl, tell her that you are mourning the anniversary of your late wive’s death. If she has to be a bride on the brain, she’ll think to herself “This guy was a catch … he was married” and give into your every desire, especially if you tell her that you can’t be alone that night. Everyone knows someone named Brian according to Barney. All you need to do is see the girl you want and say to her “Hey, it’s great to see you again! This one will work on animal lovers, and what girl doesn’t love animals? Walk around your neighborhood or your local city streets and grab the next “Missing Cat” flier you see. Go to the local animal shelter, buy a cat that looks similar to the “missing cat” and then call the owner and deliver it to her. Want to read more plays and learn all the ropes on scoring with women? Check out The Playbook: Suit Up. Score Chicks. Be Awesome. 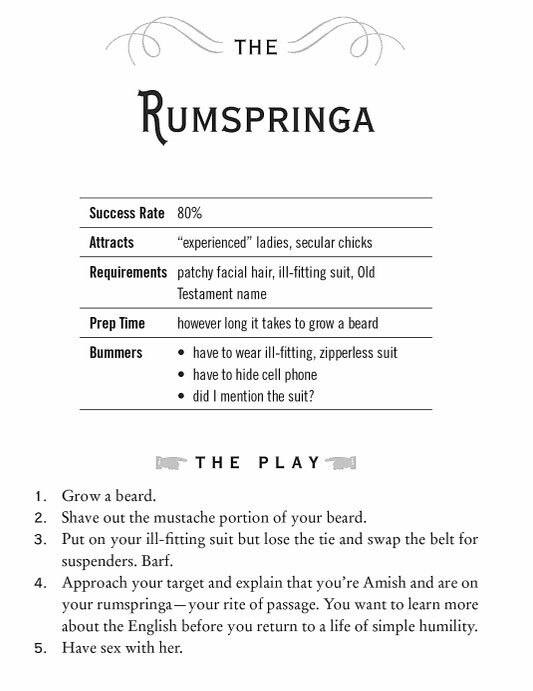 Book has seventy-five seduction techniques.